This design offers you multiple choices. 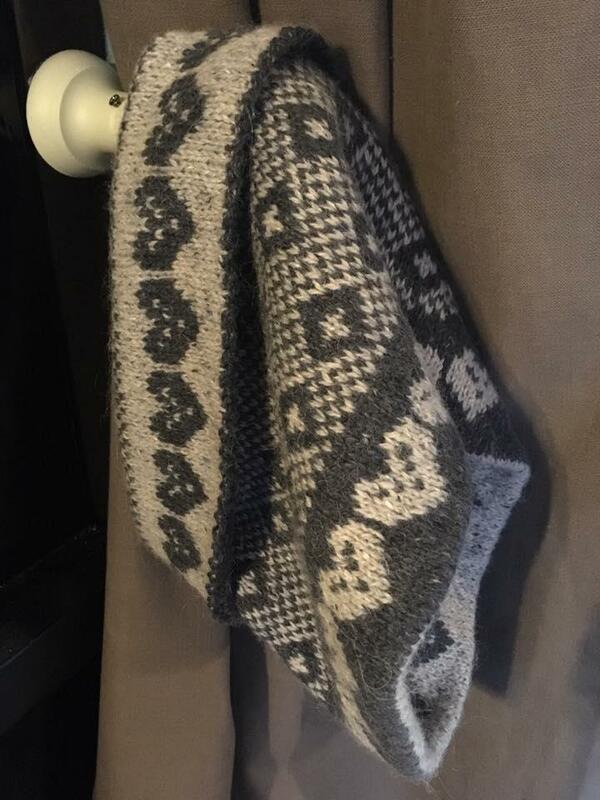 You can knit it all in Fairisle, the lining being a negative image of the outer layer. Or, you can knit it with a simple stocking stitch lining. I also offer you a colour-washed Kidsilk Haze version. There is no sewing up in the cowl which is knitted in one piece. The ingenious construction is fully explained in the pattern. It is knitted entirely in the round. The Fairisle is fully charted. I rate this design as moderate. Finished Size (laid out flat): approx. 32cms wide x 30cms long.